In January 2011 when Moby was 1 years and 3 months old, he was in the midst of a phase wherein he would try to do very difficult things and often get very upset that they were very difficult. We captured one of these moments on camera. 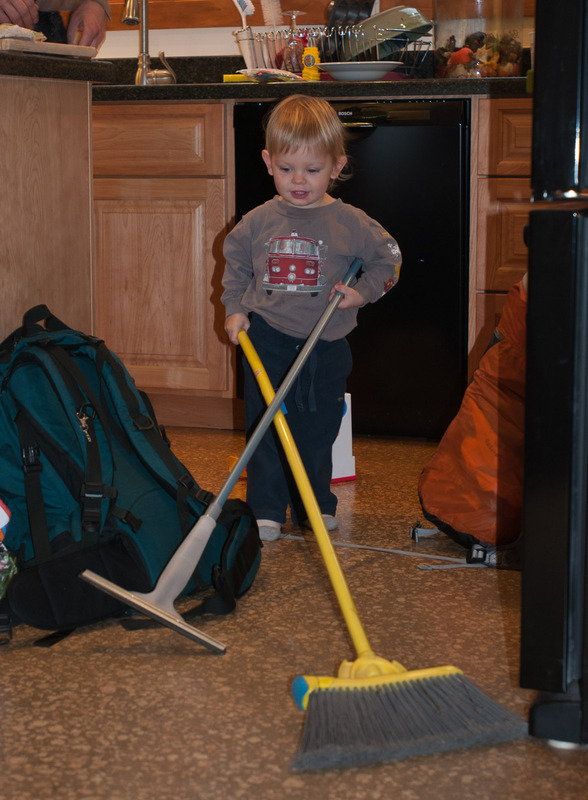 He had found a broom and a mop and found it very difficult to coordinate pushing both at once. 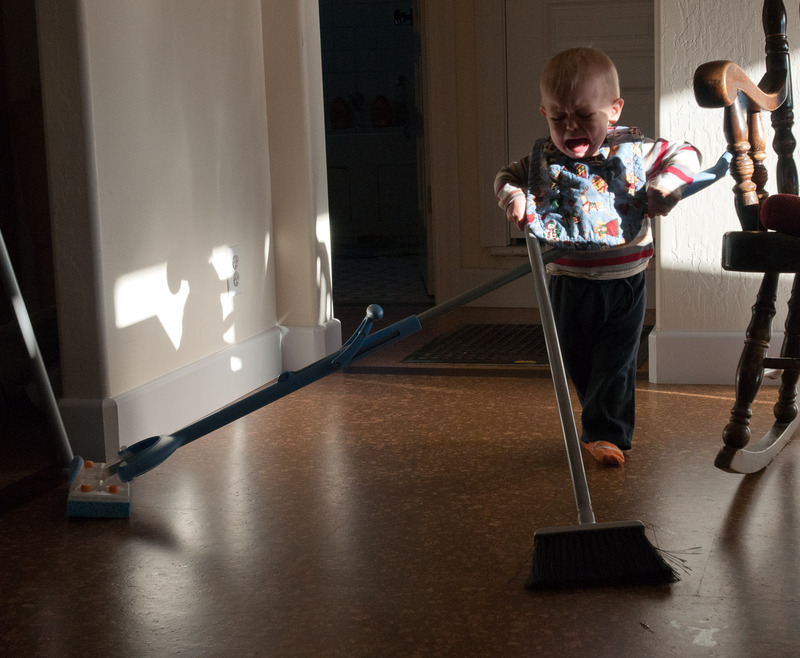 In January 2014 when Arlo was 1 year and 8 months old, we captured a very similar moment. Arlo had found a broom and a squeegie and similarly found it a difficult task to push both simultaneously, though unlike Moby the difficulty of the task did not bring Arlo to tears.